Did you know that 80% of the UK’s cider makers are small producers? Ever since cider duty was introduced there has been an exemption in place to help small producers for whom making cider is an integral part of rural culture. About 80% of Britain’s cider market falls into this category. While their output levels may be small, they are part of a great British tradition and help support a lively pub culture and tourism sector. The proposed action would small producers landed with a bill of up to £2,700 every year, making production uneconomical and lead to wide-spread closures. CAMRA has campaigned to ensure that this relief remains in place. 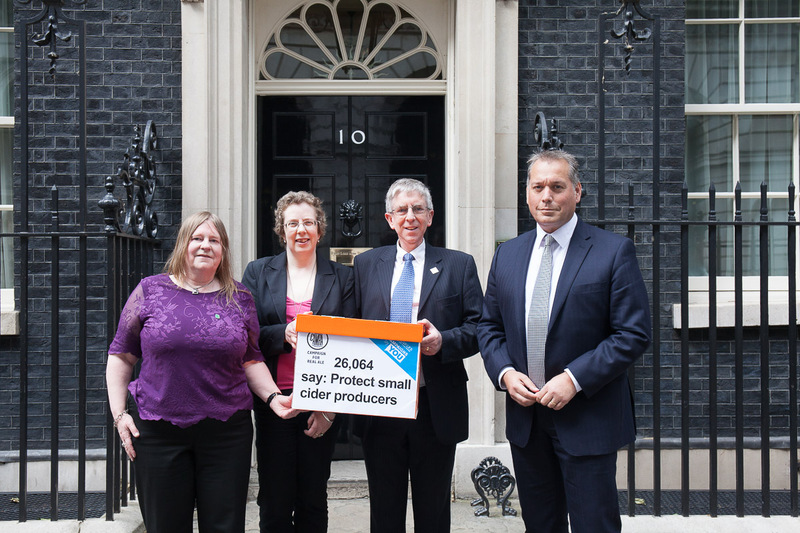 Thanks to our campaigning, the Government has committed to support small cider makers and will retain the current duty exemption. We are now campaigning to ensure that this promise is upheld as the UK prepares to withdraw from the European Union. Someone producing less than 70hl (12,000 pints) will generally be making less than £10,000 a year in sales. This means the tax exemption only applies to very small businesses. An exemption from this duty is essential to supporting the growth of a vibrant but still small cider and perry market. A tax charge of up to £2,700 would drive many small cider producers out of business costing jobs, harming the countryside and dramatically reducing consumer choice. A small producer selling up to 33 pints a day has no capacity to affect EU trade to any meaningful degree.